By every measure, Matt Joseph's resume points to an incredible pedigree. He went to Princeton and earned his JD and MBA from UCLA. His startup Locent -- a text marketing service for brands -- is backed by Y Combinator, an elite network for entrepreneurs and their businesses. And Joseph says that his race was the elephant in the room when he met with dozens of potential investors in recent weeks. "I felt throughout this process that I was not being given the respect that I know other [founders] were," Joseph, 27, told CNNMoney. He detailed his experiences in a series of 30 tweets on Twitter this weekend, followed by a post on Facebook. Joseph calls out the practice of "pattern matching," when investors look for entrepreneurs who remind them of prior successes. They might be looking for the next Mark Zuckerberg, for example. And, for now, those success stories tend to be white men. "I don't look like Zuck," Joseph tweeted. For Joseph, it meant being compared to athletes and rappers. During one meeting, an investor brought up Nas, the rapper turned venture capitalist. "Not exactly what you want to hear," said Joseph. "I wasn't being compared to other entrepreneurs." "I always put my business first. But let's stop pretending like race isn't an issue. Subconscious bias is just as damaging as overt bias," he tweeted. 18/ Wanna know the real difference between them and me? I don't fit your pattern. You have no archetype for me. So the bar for me is higher. 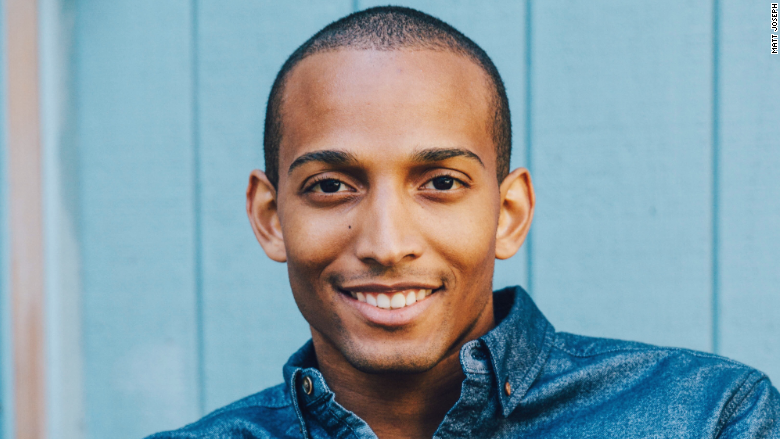 Joseph said his goal was to shine a spotlight on what it's like for minorities to raise money in Silicon Valley -- and also to head off similar conversations with future investors. Joseph is gearing up to pitch his startup to investors at Y Combinator's Demo Day in Mountain View this week. Joseph, based in Santa Monica, said he has raised $750,000 to date, and that investors tend to "rid their guilt" by investing in black founders who address problems in the black community like beauty products for ethnic hair. While those products and services may be important, Joseph said black entrepreneurs shouldn't be limited to those areas. "It marginalizes us," he said. It also doesn't help that there are so few black investors. A recent look by investor Richard Kerby found that out of more than 1,500 investors, just 2% were black. Joseph said some investors might be turned off by his comments this weekend. But he thinks others will be drawn in. He pointed to investor Matt Volpe, who responded by pledging to write him a check. "Some of the investors I've talked to have reached back out to me," he said. "They want to talk more. It's awkward. You [already] had a chance to not be that way." Joseph said many black founders reached out to thank him for giving voice to experiences they've had. Joseph, who was born in Trinidad but grew up in Kentucky, said he long believed that he could ignore his feelings. But now he thinks he needs to speak out if he wants attitudes and business practices to change. "Please, don't sweep race under the rug when you meet me," read one tweet. "Talk to me about it. It'll help you understand why I'm going to succeed."